A first look at vintage quality in South Africa, with eyewitness reports from growers and winemakers. Vineyards in the U.S. and Europe are just flowering, but there’s juice fermenting in the tanks down south, in the Southern Hemisphere, that is. Variety is the spice of life, but South African winemakers may be cursing it. South Africa’s top wine regions produced dramatically different results this growing season, especially between hot, dry inland areas and cooler coastal zones. Here’s a sneak peek at the upcoming vintage. 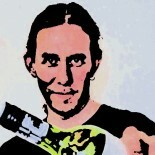 For more 2011 Southern Hemisphere coverage, see our reports on Australia, New Zealand,Argentina and Chile. 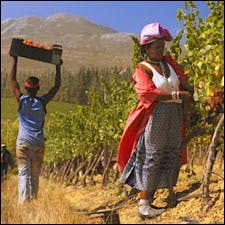 Conditions were hot and dry during harvest at Ken Forrester Vineyards in Stellenbosch. The problem for the Bordeaux varieties was sugars developing before tannins. “With the lack of cool nights, we had rapid sugar load that resulted in higher alcohols and tough tannins. Tannin management will be key for the reds,” said Miles Mossop, winemaker at both Stellenbosch’s Tokara as well as his eponymous label. While Bordeaux varieties struggled, other varieties, including Syrah and Chenin Blanc, seemed to relish the growing season. “Both came in early, with lots of flavor concentration and good color,” said Christophe Durand of Vins d’Orrance, a top boutique producer. This entry was posted on June 9, 2011 by The Oenophiliac in News..